Answer the Call. Change Everything. However you phrase it, just don’t miss it. We’ll be hosting a very special guest who will introduce an exciting challenge to kick off the new year. Trust us, this is one call you won’t want to miss. So spread the word to your team, customers, and prospects, and join us on Thursday, December 6, at 7:00 p.m. (MST). 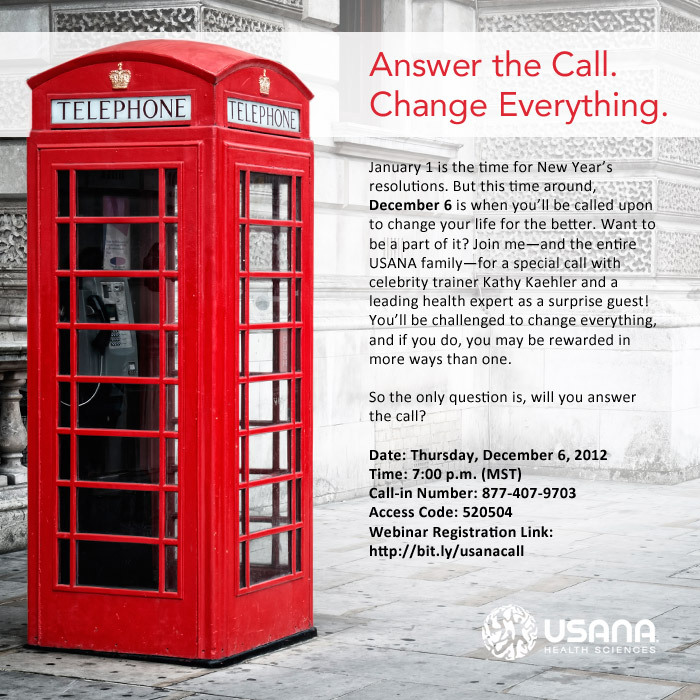 Go to www.USANAtoday.com for a downloadable flyer (above) you can use to invite your prospects. Add the flyer to an e-mail, post it on Facebook, spread the news over Twitter, and have them join us on this exciting call! People often ask me how I became so successful in such a relatively short period of time while many other people in our company did not. The answer is simple: The things I found easy to do, those other people found just as easy not to do. So what happened? Well, a few short years later I'm a millionaire and those other people are still blaming the economy, the government, and their company's policies...while continuing to neglect the basic business-building activities that are easy to do. In fact, the primary reason most people are not doing as well as they could, and should, can be summed up in a single word: neglect. It's not the lack of money—banks still have money. It's not the lack of opportunity—much of the free world continues to offer the most unprecedented and abundant opportunities we've seen in the last six thousand years of recorded history. And it's not the lack of how-to information either—because the basic MLM systems we need to achieve success have already been created. Indeed, everything we need to succeed is well within our reach. The major reason, again, that only a few people ever take advantage of what is already available is simply, neglect. Not doing the things we know we should be doing causes us to feel guilty, and that guilt then leads to an erosion of self-confidence. As our self-confidence diminishes, so does our level of activity. And as our activity diminishes, our results inevitably decline. As our results suffer, our attitude begins to weaken. And as our attitude begins the slow shift from positive to negative, our self-confidence diminishes even more. Therefore, if you want to reverse the downward-spiral of neglect and become successful, my suggestion is this: The next time there is a choice between something that is easy to do, and something that is just as easy not to do, choose the easy to do business-building activities that, over time, will allow you to create the Network Marketing business and the life you really want! As Hurricane Sandy swept through the Caribbean and the east coast of the United States, leaving a trail of destruction, USANA was ready to lend a helping hand. Thanks to the USANA True Health Foundation, we have been able to reach out to individuals in areas that were devastated, and will continue to provide assistance to those in need long after other support agencies have moved on. Our funds have also been used to help those affected by the recent floods in the Philippines. By teaming up with International Relief Teams, the Foundation helped donate $50,000 worth of supplies, such as water purification tablets and rehydration salts. And thanks to donations from Associates like you, we have given more than $15 million in product donations and monetary support to the Children’s Hunger Fund to help children in need around the world. 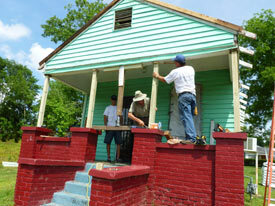 But in order to keep up these efforts, we need your help. Your support will make it possible for us to continue to make a difference in the lives of hurricane victims and others in need of assistance. Please join with us in this valiant effort and make the decision to donate today. To make a donation through USANA’s online Shopping Cart, go to the Shopping Cart and click on “Donate to Help Humanity” on the left-hand side of the screen. From there, you may select the kind of donation you would like to make. * For contributions through your Autoship, please select the “Autoship” icon at the top of the USANAtoday.com home page and either create a new Autoship or update an existing Autoship by adding the item number of the type of donation you would like to make. 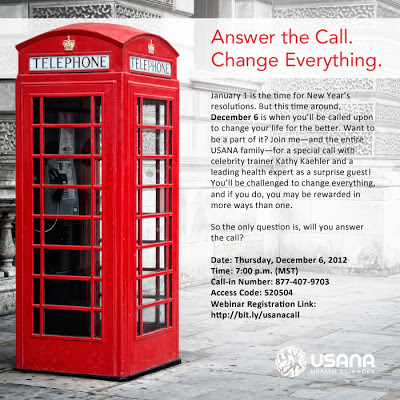 And now you can give a gift through the USANA True Health Foundation “In Honor Of” someone else. This is a great way to give a gift that truly matters. You can recognize a loved one, a prospect, or someone in your upline or downline. Once your donation has been received, the intended donor will receive an e-mail, or we will send you a blank giving card to make the donation personal. Your donation may be eligible for a tax deduction, so please check with your tax advisor for more information. Together we can make a difference. For more information, visit the USANA True Health Foundation website at www.usanafoundation.org and help us make a difference to those who need it the most. 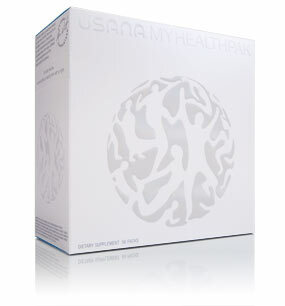 USANA is all about you. Our personalized approach sets us apart from the cookie-cutter competition. You are our focus, and everything we do helps you love life and live it. Well, that’s never been truer than right now. We’re taking personalization to the next level with two important global launches. Now, members of the USANA family around the world will be able to take advantage of the personalized power of MyHealthPak™ and the revolutionary True Health Assessment. Since personalization is going global, more people will have access to two of the pillars of USANA’s you-focused approach and two things that wholly embody our tagline—Your Health. Your Life. Your Way.™ And this is very good news for you and your business. So how’s it all going to happen? With MyHealthPak machines in the United States and Singapore we will be able to service our markets around the world. In Canada and Europe, MyHealthPaks—for personal use only—can be accessed through USANAtoday by selecting the not-for-resale option in the shopping cart. They will ship from the U.S. and can be placed on Autoship. Countries in Europe with PC-only status will not be able to order MyHealthPak. Nothing changes for the U.S. market—order as you always have. The big changes are in Singapore, where MyHealthPak is now available for retail sale. So if you live in Singapore, you can order your personalized MyHealthPak, and use our premium personalization product to build your business. Go to the shopping cart right now and start putting those new machines to work! In much of Asia Pacific, including Hong Kong, Japan, Korea, Taiwan, Malaysia, Australia, New Zealand, and the Philippines, MyHealthPaks for personal use only will ship out of Singapore, and are available to be placed on Autoship. If you live in Australia or New Zealand, you can log on to USANAtoday to order by selecting the not-for-resale option in the shopping cart. If you live in the other Asia-Pacific markets, you can purchase your MyHealthPak at www.sg.usanamhp.com. Thousands have used the revolutionary True Health Assessment application to help discover their personal path to a healthier, happier life. The Assessment’s patent-pending technology lets your answers guide a process that leads to the creation of three personalized reports—top risk areas, a one-of-a-kind lifestyle plan, and customized product recommendations. We launched the beta version of this incredible tool at the 2012 International Convention. Over the last few months, we used your comments to create a full, upgraded iPad and web version that will provide personalized product recommendations to people around the world. The beta version of the Assessment was already available in the U.S. and Canada, but if you live in those markets, you’ll be able to access an upgraded version of the Assessment—on the web or as an iPad app. The Assessment will launch globally in English, while other languages will be available within the next six weeks. In the U.S., it will be available in English, Chinese, and Spanish. In Canada, it will be available in English, Chinese, and French. If you live in Mexico, Hong Kong, Taiwan, Australia, New Zealand, Malaysia, Singapore, the Philippines, and Europe, you’ll be getting to see the same app for the very first time. Prepare to be impressed. Again, the True Health Assessment will initially be available in English, but within the next six weeks French, Spanish, and Chinese will also be available, depending on your market, and will recommend products specific to your market. We will also be rolling it out in Japan, Korea, and Thailand, in your preferred languages, at a later date. Access the iPad version of the True Health Assessment. If you prefer to use the web version, it is available on your personal webhosting page. You can also access it here. Seems "We're all off..." to find something. Searching for answers... Sometimes for people... Whatever it takes to get from where we are to where we want to go. Dorothy just wanted to get back to Kansas. And, lest we forget, the friends she met along her way were searching too: for brains, a heart and courage. 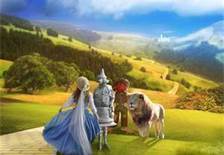 The Wizard of Oz is a classic metaphor for leadership. Dorothy discovered that leadership begins with knowledge in action—"Just follow the yellow brick road"—and ends with the realization, "There's no place like home." Because from time to time we all need to be reminded, that if we just stay the course, we will reach our goals. Yet, the real wizardry of Oz is more subtly intertwined throughout the movie. Remember, Scarecrow believed he didn't have a brain, but he masterminded Dorothy's rescue. Convinced he was without a heart, the Tin Man tried, repeatedly, to contain his emotions. And when it mattered most, the Lion, still searching for courage, was absolutely fearless. Each one possessed exactly what he had been searching for all along. Good Witch of The North: You don't need to be helped any longer. You've always had the power to go back to Kansas. Good Witch of The North: Because she wouldn't have believed me. She had to learn it for herself. Dorothy believed the Wizard had the power—turns out he was just the little man behind the curtain. Dorothy had the Ruby Slippers—the real power—all along. And that's what true leadership is about. Helping people see their power, helping them bring out the greatness that was really there all along. Because the dreams you dare to dream really do come true...but only when you decide it's time to wake up and live them! "Oh Auntie Em, it's you..."